Asia is one of the best places in the world to travel independently. With excellent transport connection, hotels of all shapes, sizes and price ranges – it bemuses me why anyone would ever book a tour – especially backpackers! Pretty much people end up paying over $200/day – to be comfortable – in a part of the world which is pretty darn comfortable at $50/day! As I’m in the planning stages a of a few weeks in Malaysia and Thailand I thought I would share some tricks with you. Asia is a cross-roads – and many of the National carriers do long haul to Europe, Australia, US. I personally prefer Asian airlines anyway in terms of service and food. Some of the better ones include MAS, Thai and SingpaporeAir. However these days their are cheaper point-to-point airlines to check out: TigerAir connects Australia, SE Asia, China and India while Air Asia connects Australia, UK, India, China, SE Asia and has some amazing deals (from $1) for internal Asian flights – Kuala Lumpur is their hub. Annoyingly there are still some countries that require visas in advance – but this does NOT mean you have to buy all your visas before leaving home. Generally the further from the country that you are – the more you will pay for a visa. If you are flying direct to Vietnam you will need to get a visa from home – if you spending weeks in Thailand, Malaysia or elsewhere in Asia – then get your visa in the relevant capital city. It will usually take at least a couple of days, involve some photos and some local cash. 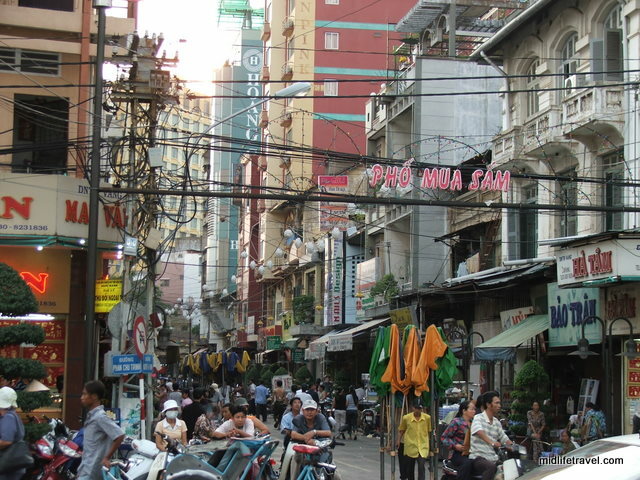 Vietnam and Burma both require visas in advance – you can’t visas on arrival. Thailand will give you a 15 day visa on arrival if you arrive overland (or water from Malaysia) but 30 days if you fly in. If you want longer you will need to get a visa before you arrive. Malaysia, Singapore, Cambodia, Laos and Philippines will give most nationalities visa on arrival – which can generally be extended to cover 4- 6 weeks. Indonesia will give you up to 60 days – but its not able to be extended. However before you take my word for it, or that of a guidebook’s – check out the current situation for your passport with the countries in question embassy. Note you will also need at least 6 months before expiry of your passport to enter Malaysia and most country will require at least one clear page for the visa stamps. If you haven’t travelled much before you may have to plan to get some jabs before you leave home: polio, Hep A, tetanus, diphteria, typhoid are the usual ones. Malaria may or may not be a risk – if you are going in dry season and planning on paying for air con rooms then you are unlikely to be exposed to them. Good insect repellent is a must whether you decide to go with anti-malarials or not. The most dangerous thing you will probably encounter is the sun – take good suntan lotion and buy a hat when you arrive. In general you will have absolutely no problem finding accommodation as you travel. The only exceptions are some islands at big holiday times (Christmas, New Year, Full Moon). Also if you have a preferred hotel which is popular with locals then holiday weekends may be busy. With the notable exception of Thailand, trains aren’t big in SE Asia. Instead most of your travel will be bus or mini-bus. Buses tend to run to a schedule in Thailand and Malaysia – while in Vietnam, Cambodia and Laos they will leave when empty – so you will want to travel early morning for the shortest waits. If time and comfort is more important than cheap internal airfares have got a lot cheaper – with Air Asia flying to most major destinations from their KL hub – you will probably pay more for your hostel or hotel than for the flight! I suggest that you decide what your main aim is: culture, history, beach time surf breaks? Asia has it all – but particularly if you are heading to the beach – check the monsoon time. Thailand has the unique advantage of having 2 monsoon, one on the West coast, one on the East Andaman Sea coast – so its always a good time somewhere in the country. Northern Laos and Vietnam get surprisingly cold (snow in the hills) in Winter (November to March) .